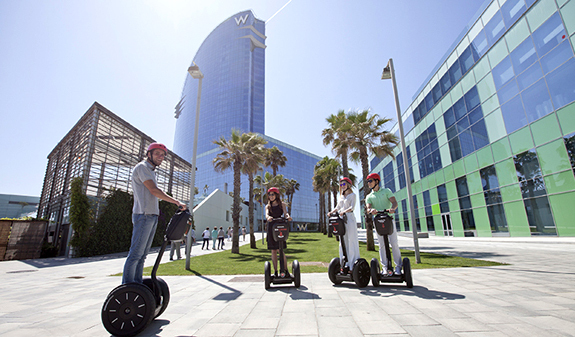 Discover some of Barcelona's most iconic places and go where no other means of transport can go. 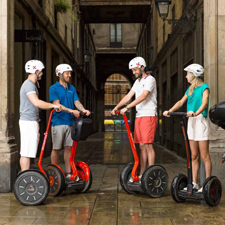 An environmentally friendly, original, comfortable and simple way of exploring the city in a short space of time and without exerting yourself. 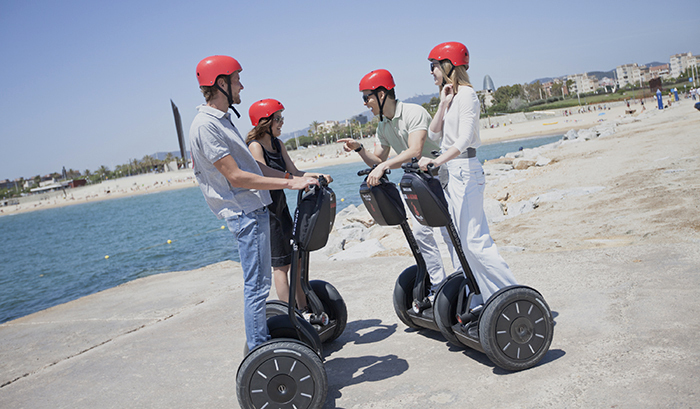 All you'll need is a short to master the Segway and find out how it works. Short route: Columbus Monument, Port Vell, Moll de la Fusta, Pg. Marítim de la Barceloneta, Port Olímpic and Vila Olímpica. Time: 1h30 . Medium route: Columbus Monument, Port Vell, Moll de la Fusta, Pg. Marítim de la Barceloneta, Port Olímpic, Vila Olímpica, Parc de la Ciutadella and Arc de Triomf. Time: 2h . Long route: Columbus Monument, Port Vell, Moll de la Fusta, Maremàgnum, Pg. Marítim de la Barceloneta, Port Olímpic, Vila Olímpica, Barcelona beaches, Parc del Fòrum, Diagonal Mar, Agbar Tower, Parc de la Ciutadella, Arc de Triomf, Estació de França and basilica of la Mercè. Time: 3h . *Route subject to change due to the application of a new municipal by-law. Training session, helmet and insurance. 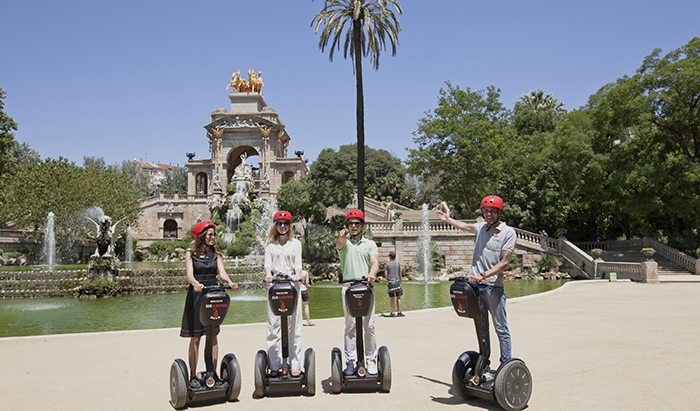 Barcelona 92 Segway Tour: 10am, 12.30pm, 2.30pm, 4.30pm and 6pm. Length: 90 min. 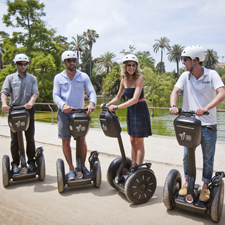 The Classic Segway Tour: 10am, 12.30pm, 2.30pm, 4.30pm and 6pm. Length: 2 hours. 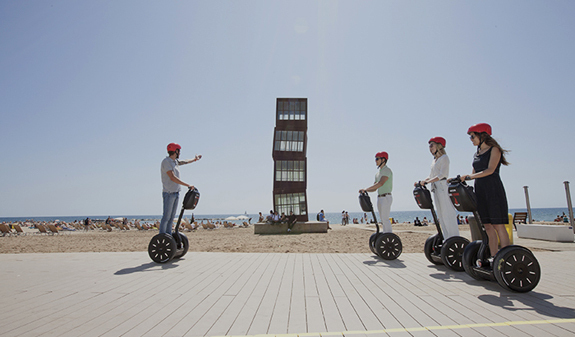 Citizen Segway Tour: 10am, 1pm and 4pm. Length: 3 hours. Closed: 25th December and 1st January. 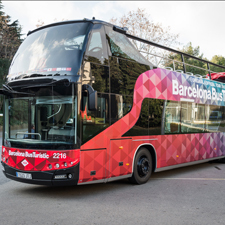 Meeting point: c/ Nou de La Rambla, 38. Metro L3, Drassanes stop. Bus: 14, 59, 91 and 120. 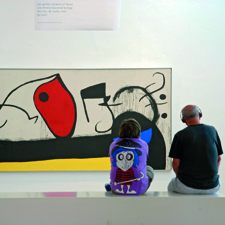 Participants must be aged 16 or over to take part in the activity. Other languages available on request: Russian, Chinese, Japanese and Arabic.